There’s nothing quite like curling up by the fire with a good book, a glass of wine, and a comfy blanket on a cold winter evening. If you’re looking for a good book suggestion; we’ve got you covered. 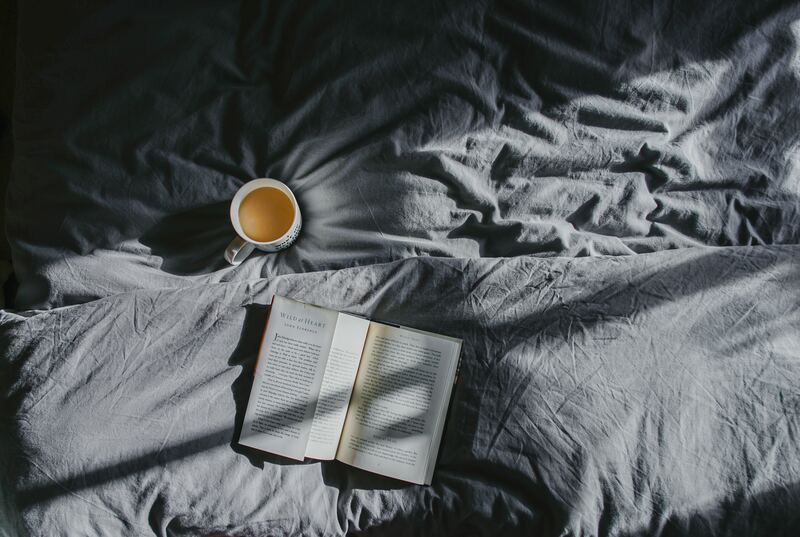 Here are five books sure to keep your mind off of the weather outside. Lenora Allbright and her mother, Cora, desperately cling to fading memories of Ernt Allbright as a loving father and devoted husband as they watch him struggle with alcoholism and depression after returning home from war in Vietnam. It’s no secret that war changes a man; and a few years in Vietnam have made the once happy Ernt angry, violent, and paranoid. Ernt, troubled by his inner demons and haunted by memories of being a POW, can’t seem to keep a job in order to provide for his family. Ernt blames his misfortune on the United States Government, and finds himself missing ‘the way things used to be’. Out of money, and out of options, Ernt decides to move the family to the Alaskan Bush where they can start fresh in a place where a man and his family can simply live off the land. As tough as Ernt is, it doesn’t take him long to realize that Alaska is tougher. In a place where there are dozens of ways to die the moment you walk out the front door, do they have what it takes to survive their first Alaskan Winter? An ending serves as the beginning of this book, as one cold winter’s evening, storied actor Arthur Leander collapses on stage during a performance in King Lear. A young girl watches in horror as an audience member jumps on stage in an attempt to save his life, only for it to be too late. But Arthur has escaped another fate that so many would soon meet as the Georgia Flu begins to wipe out most of the world’s population. Follow this story as it tells about life before, during, and twenty years after the global pandemic that eradicated 99% of the population, weaving in lives, deaths, and survival stories of so many people who are more connected than we might think. Cheryl Strayed is no stranger to adversity. At 26 she’s already experienced more than anyone might expect to face in a lifetime; an abusive father, a heroin addiction and a failed marriage all lead up to what she describes as the ‘genesis’ of her lifetime; losing her mother to cancer. This end is only the beginning for Cheryl, who impulsively decides to embark on a solo, three-month, 1,100 mile hike along the Pacific Crest Trail. It isn’t until years later that Cheryl decides to put pen to paper and transform her memories, journal entries, and experiences into this book, which has touched and inspired millions of readers all over the globe. When you’re done with the book be sure to check out the movie Wild, produced by and starring Reese Witherspoon as Cheryl. Nestled deep in the woods of the Catskills, Mitchell’s Inn is the perfect getaway for anyone looking for an escape. One snowy winter weekend provides more excitement than anticipated when a guest is found dead, but was it really just an accident? This book will give you major Agatha Christie vibes as the bodies, and questions, keep piling up. No one is safe in this electric, suspenseful thriller by Shari Lapena, the author of The Couple Next Door. Life for Maggie Stevens has always been pretty easy; she married an extremely successful man, lives in a big beautiful house, and has never had to work a day in her life. So it comes as a shock when one day her husband tells her that it’s over – he doesn’t love her anymore, and he’s found someone else. Her world as she knew it is crumbling down, and a messy divorce ensues. The idea of life on her own is terrifying; she has no work experience and she never went to college. What is she going to do? As she struggles to come up with an answer to that question she receives a letter in the mail, and is shocked to discover that her estranged father, who left her when she was just days old, has just passed away and left her his cabin in a remote town in Colorado. Maggie has no choice but to go, and expects it to be quick trip; she plans to sell his property and use the money to start a new life somewhere else. 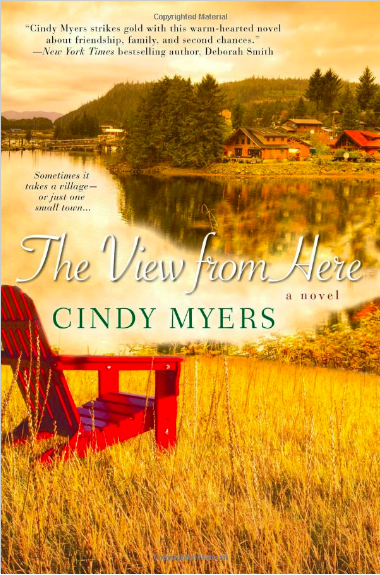 What Maggie doesn’t expect is to fall in love with the small town of Eureka, Colorado. Will she decide to stay?